Lots of exercise in older age boosts immune system, protects against infection - Healthcare Asia Daily News | Asia's Leading News and Information Source on Healthcare and Medical Industry, Medical Technology, Healthcare Business and R&D, Healthcare Events. Online since 2010. : Healthcare Asia Daily News | Asia's Leading News and Information Source on Healthcare and Medical Industry, Medical Technology, Healthcare Business and R&D, Healthcare Events. Online since 2010. 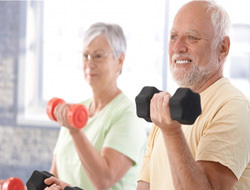 Scientists say that older people who do lots of exercise develop a strong immune system and are protected against infections. The scientists tracked 125 long-distance cyclists, some of whom are now in their 80s. They were found to have the immune systems of 20-year-olds.